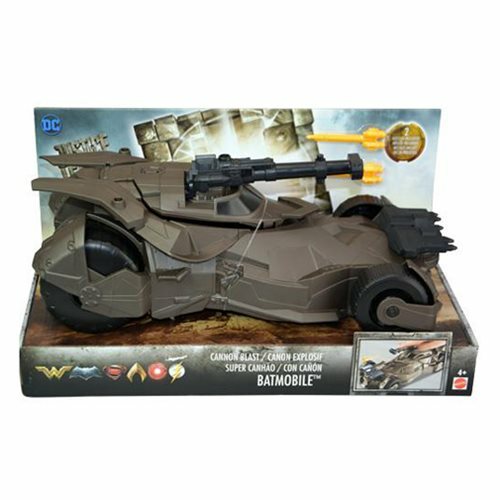 Zoom in and cut-off crime with this Justice League Movie 12-Inch Batmobile, inspired by the DC film Justice League! This sleek batmobile is loaded to the brim in epic weaponry, allowing you to take down even the toughest of villains. Ages 4 and up.